The relationship between feminism and ecology has grown in importance in recent years. This book provides a comprehensive introduction to the ecofeminist movement and its history, as well as an extended analysis of the main perspectives within it. Mellor examines the connections between feminism and the green movement, and outlines the contributions of the major participants, while contextualizing them within a wider range of debates. 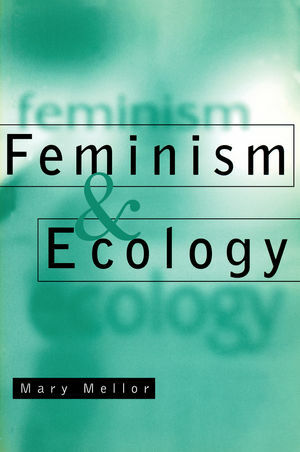 She re-examines classic feminist texts from an ecofeminist perspective, and explores the relationship between ecofeminism and other ecological movements, such as 'deep' ecology, social ecology and ecosocialism. Mellor discusses the association of women with biology and 'nature', and argues that the relationship between women and the environment can help us to understand the relationship between humanity and the natural world. Against the trends towards radical economic liberalism, global capitalism and postmodernist pluralism, she argues that there is within the feminist and green movements the basis of a new radical movement which draws on the principles of both. A useful and engaging account of feminist perspectives on ecology, the book will be welcomed by students and researchers in feminism and gender studies, sociology and political theory. Mary Mellor is Emeritus Professor at Northumbria University, where she was founding Chair of the University's Sustainable Cities Research Institute. She has published extensively on alternative economics integrating socialist, feminist and green perspectives. 2. Women and the Environment. 4. Women, Biology and Nature in Feminist Thought. 5. Women and Nature - a Privileged Standpoint?. 6. Feminism and the Green Movement. 7. Social Ecology, Ecosocialism and Social/ist Ecofeminism. 8. Feminism and Ecology: a Material Connection. * Offers a comprehensive history of the ecofeminist movement, combined with a highly topical analysis of current debates and issues surrounding feminism and the environment. * Original - presents a new perspective on the relationship between human society and the natural world. * Puts forward a novel political argument, that there is in the feminist and green movements the basis for a new radical movement drawing on the principles of both.